Spring has always been a time of change, an opportunity for a fresh start, a chance to explore travel ideas and an opening to experience the bright fresh and longer days that have suddenly arrived. Adventure is now a reality and the town of Killarney offers the very best of Ireland, where you can look forward to the spectacular Killarney landscape, long walks and trails, stunning local experiences and adventure, all within a couple of miles of the vibrant town. With the spectacular Killarney mountains, Killarney Lakes and with the spectacular landscape all on our doorstep, our team at Destination Killarney has earmarked 10 must visit attractions this Spring. 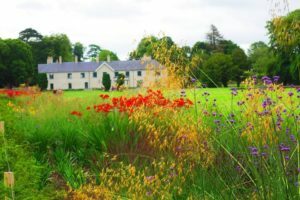 Carefully restored its former glory, Killarney House and Gardens is located in the heart of Killarney and has often been described as the gateway to Killarney’s National Park. Only recently reopened back to the public in April 2016 after a €7million investment, the restoration of the house and formal gardens reflects in part the style of 18th-century French chateaux and 20th-century Edwardian properties. The uniqueness of the property is the close proximity to the center of the town and the stunning panoramic views of the natural beauty of the National Park. Access to Killarney’House & Gardens is either via a new side entrance, alongside the Monsignor O’Flaherty statue on the Mission Road, or the wonderfully restored “Golden Gates” on the Muckross Road. 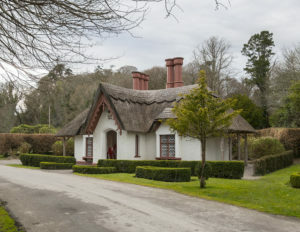 In June 2018, the international media bestowed on Killarney for the official reopening of the spectacular Killarney House & Gardens, as Prince Charles of Wales and Camilla and Camilla the Duchess of Cornwall paid a visit to Killarney House and Gardens, Muckross and Killarney National Park, where Prince Charles visited the house where his great-great-great grandmother Queen Victoria stayed in 1861 during her visit to Killarney. 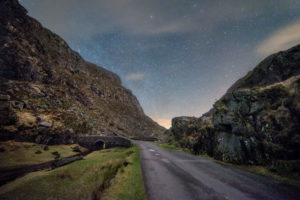 A trip to the Gap of Dunloe is in many ways a trip back to Ireland’s past, formed over two million years, this spectacular Mountain Pass is between Purple Mountain and MacGillycuddy Reeks. Ironically and following on from earlier in this blog, the area became popular following Queen Victoria’s visit in the 1860s, as the notoriety of the Queen’s visit garnered much attention from afar. Numerous movies have since been filmed within the area. Kate Kearney’s Cottage perched at the Gap of Dunloe, is a must visit if you are in the area. The cottage is a 150-year-old family run establishment, and the story runs from Kate, an inspirational and exceptionally beautiful woman who lived prior the famine, who distilled her own form of poitín, named Kate Kearneys Mountain Dew. The poitín was said to be so strong that it could not be drunk without seven times as much of its own quantity of water, and despite the product been illegal, Kate continued to sell the product. Today, Kate Kearney’s features an award-winning restaurant and craft shop. Dinis Cottage on Dinis Island in Killarney National Park is now a Tea Room and looks out over the Muckross Lake, Described as a hunting lodge and and woodcutters hut and dating back to the 1800’s Dinis Cottage it is located nearby Old Weir Bridge and Meeting of the Waters and is accessible through foot or bike, or by the lake from the car park approximately 6km from Killarney Town. Boat Trips can be arranged at the Boathouse near Muckross House. One of Killarney’s best-loved trails – Copper Mines Trail, is a 2km looped trail on paved paths on the southwestern shores of Ross Island. Offering peace and tranquility the area is closed to vehicles and can only be accessed by foot or bike. A fantastic route for a stroll, hike or jog the trails of Ross Island is sheltered by a canopy of Trees for the majority of the trail. The Copper Mines Trail starts and finishes at Ross Castle , and can be combined with the Governors Rock trail and Library Point. To get there all you need to do is head towards Ross Castle, and you will be well directed from the signposts from there. 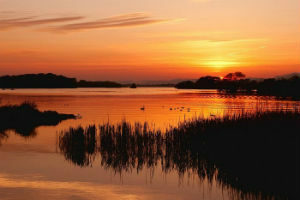 The route does not allow motor vehicles and takes in some fabulous views of the spectacular lakes of Killarney and is also home to some of Killarney’s famous deer population. The Circular Walk in Knockreer, Killarney National Park is popular with both locals and visitors to the area. 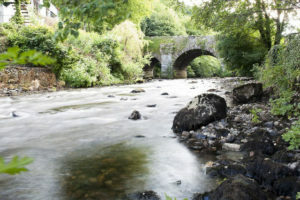 Located in close proximity to town centre, the Circular walk of Knockreer is an ideal trail to explore the wonders of Killarney National Park. The walk offers spectacular views of wonderful lakes and mountains and offers an opportunity to view the amazing wildlife in the park such as the local red deer herd. The trail is also paved, and suitable for buggies, strollers, and cyclists. Deenagh Lodge is the natural start/finish point approximately a 10-minute walk from Killarney Town Centre. The MacGillycuddy Reeks of Kerry is Ireland’s highest mountains range and include the only 3 peaks in Ireland over 1000 meters. The rugged setting of the famous mountain range is a scene of immense beauty, that is blessed with edged ridges, high cliffs, and fast running rivers. Over the years The MacGillycuddy Reeks has become increasingly popular with approx over 2 million visitors annually. 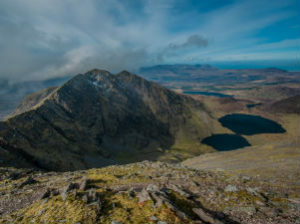 The Reeks are also home to Ireland’s highest mountain Carrauntoohil that stands at 1,039 meters, followed by Binn Charorach at 1010 meters and Caher standing at 1001 metres. 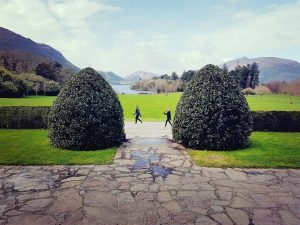 Muckross Gardens is a must visit in Spring, andis set in the idyllic setting of the middle lake on the shores of the lakes in Killarney makes Muckross Gardens one of Killarney’s most loved tourist attractions. The area takes in stunning gardens, mountains, lakes, and woodlands, and is located approx 6km from Killarney Town Centre. The National Park in Killarney shares a paved path that goes all the way to Muckross House, that is shared by traditional jaunting cars, cyclist and walkers. A must see if in Killarney this Spring, Muckross Gardens is enthralling, and offers a range of walks nearby that are perfect for exploring. 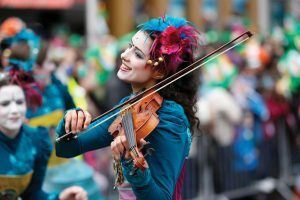 Celebrated across the world on the 17th March annually – St. Patrick’s Day in Killarney is no exception and the St. Patrick’s Festival in Killarney is a spectacular occasion that pulls out all the stops to ensure there is something for everyone today. Killarney’s long history of celebrating St. Patrick’s Day with the annual parade through the streets, is a huge attraction for each other with locals and visitors taking a huge interest in the occasion. Why not visit the Killarney St Patricks Day Facebook Page for more information. 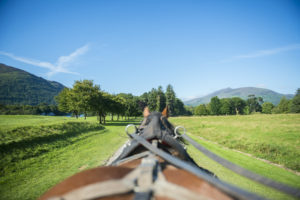 No visit to Killarney would be complete without taking a ride on one of the towns greatest traditions – a Jaunting Car Tour of Killarney National Park. The local jarveys in the town are renowned for their storytelling, wisdom and local knowledge and charm. Trips are available to many of Killarney National Parks most well-known attractions such as Muckross House & Gardens, Gap of Dunloe, and Torc Waterfall. Don’t be scared by name, but if you enjoy a good workout, then Cardiac Hill provides an excellent strenuous walk/ run climb. 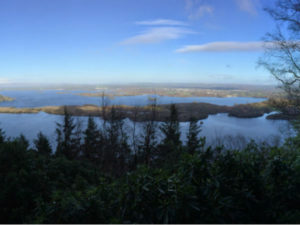 The steep ascent of Cardiac Hill is actually a journey up the slopes of Torc Mountain, located just a few km outside Killarney. The route itself offers excellent shelter from the rain and provides excellent panoramic views of the Killarney Lakes, McGillycuddys Reeks, and Killarney National Park along the way.